November 19, 2016, was a day which will live in infamy in the Colerain Township enclave of Northbrook. That morning, dozens of neighbors woke up to find that vandals, probably teenagers, had slashed the tires on 27 vehicles in a late-night spree. It was the last straw for some long-time residents who, over the years, had seen that sort of crime get worse and had witnessed the slow decline of their neighborhood. “We’d had it,” said Lori McMullin. She was born and raised in Northbrook and, except for a handful of years as a young adult, has lived most of her life there. It was the start of a fight to take back their neighborhood, a fight that gained two powerful allies when the township police and administration joined forces with the neighbors. What followed could be a model for other neighborhoods that need change. Colerain Township is a big place. About 60,000 people live there in a sprawling area that spans 42 square miles. Its Northbrook neighborhood started developing shortly after World War II with small, quickly built homes designed for a growing postwar workforce that wanted to live in the suburbs. It continued growing in the ‘60s and’70s, as developers built cul de sacs full of affordable houses, many without basements, front porches or garages. But as the suburbs spread to the north, east and west, the newer homes in those places were bigger and more desirable, and working-class neighborhoods like Northbrook fell out of favor. Over a few decades, the neighborhood visibly deteriorated. “It started to look a little shabby, frankly,” said Geoff Milz, Colerain’s interim administrator. Two tires were slashed on this truck on Nov. 19, 2016. Crime -- “steady, but low level,” said Police Chief Mark Denney -- became part of the neighborhood. Misdemeanors like car break-ins, vandalism and theft became too common. In recent years, the still-growing epidemic of heroin and narcotic abuse hit Northbrook. In 2017, the township's first responders recorded 61 overdose runs in Northbrook alone. Single-family homes were being converted to rentals at a rate that concerned some homeowners. Petty crime, drugs, and a general lack of upkeep all became nagging concerns for residents. Many believed the township and the police had forgotten them. Then came The Night of the Slashed Tires. Lori McMullin woke up to find the tires punctured on two of her cars. 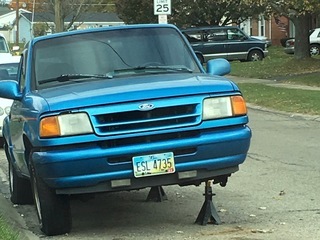 Across the street from her home on Menominee Drive, her neighbor, Mike Beckman, had found six tires slashed on two of his cars. Beckman has lived there most of his life, and was raised in Northbrook by his grandparents, who had lived there since the ‘60s. He wasn’t the type to get involved, but this was different. “That definitely got me going,” he said. The two of them, reinforced by other angry neighbors, demanded a community meeting with police and township officials. A couple of weeks later, they got the meeting, and it was well attended. The neighbors spilled their grievances. The meeting was heated. Chief Denney, at the last minute, hired a professional mediator, Jeff Stec, who brought some order, but emotions ran high. That meeting spurred more action. 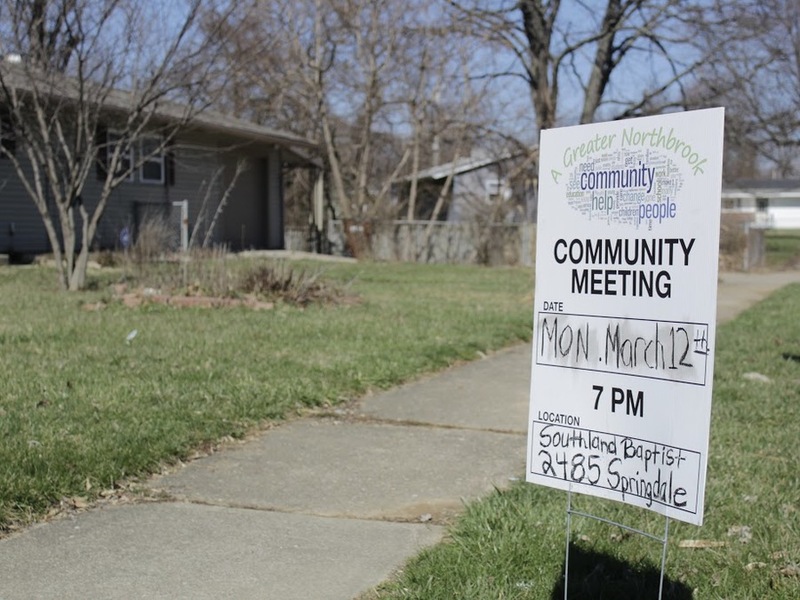 About eight neighbors stepped up to lead a group they called A Greater Northbrook. The police and the administration were eager to work with the group. They began meeting every other week to talk about nuts-and-bolts neighborhood issues. "They got up on their feet and started running," Milz said. "We wanted to very quickly empower that group." “I think they were almost waiting for help from the community,” McMullin said of the officials. Early on, the neighbors got action on one of their pet peeves: people parking on lawns of their homes. 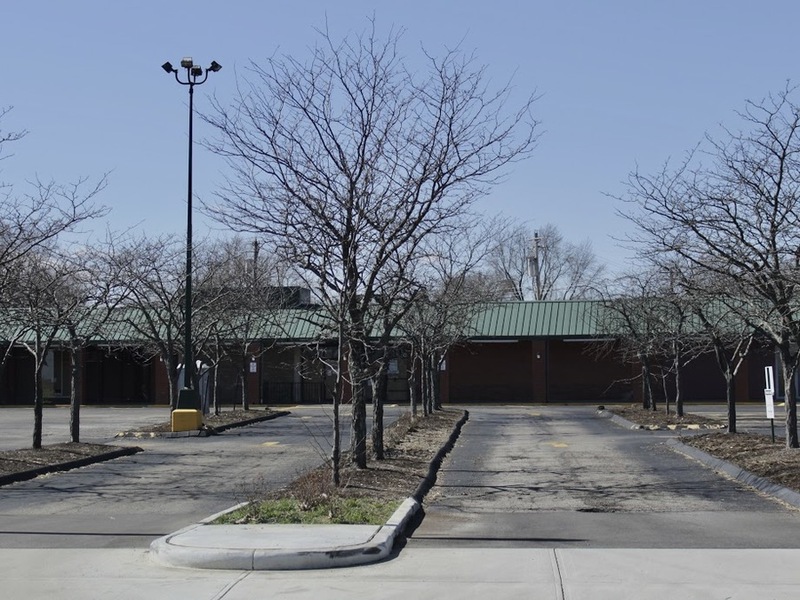 The township passed a zoning regulation forbidding cars in the yards. The neighbors asked for more police patrols. They got them. The township police ramped up traffic stops by 48 percent in Northbrook over just one year, according to department figures. That resulted in a 27 percent decrease in calls for police. They wanted more stop signs to slow traffic through the residential streets. They got them. They’re also about to get four fixed speed signs that will flash when passing motorists are going too fast. Those signs will also be equipped with cameras. They formed neighborhood watch teams. Block watch signs, paid for by the township, will soon be installed. They want more streetlights, a complicated effort that involves creating "lighting districts" and actually voting for them. They're working on it. They got the township to hire a code enforcement officer, who handles complaints about sagging gutters, broken windows and uncut grass. With the township’s help, they applied for grants. In June, Give Back Cincinnati will bring its Paint the Town project to Northbrook, sprucing up about 40 houses with fresh coats of paint, at no charge. But the biggest success was simply opening up regular communication between the neighbors and the township. “If we have a complaint about something, or a concern, they take it seriously,” McMullin said. And neighbors meeting neighbors and sharing their stories and their concerns. The group hosts “pocket picnics” so neighbors can meet each other. One of Lori McMullin’s many organizing mottos is “If you cook it, they will come.” Only eight neighbors came to the first picnic, but about 40 township officials did, accompanied by fire trucks, police cars and an ambulance. It was quite a display. The third took place at the shopping center, once a community hub, but now home to only a Dollar General store. Township trustee Greg Insco led a zumba class for kids and adults and the fire department showed up to hose them off. The last two years have seen real successes and most importantly, the momentum for more. But things are far from perfect. The neighborhood got a shocking reminder of that on July 8, 2017. That’s when two people barged into a home on Capstan Drive and shot nine people, killing one in a brash homicide that is still unsolved. 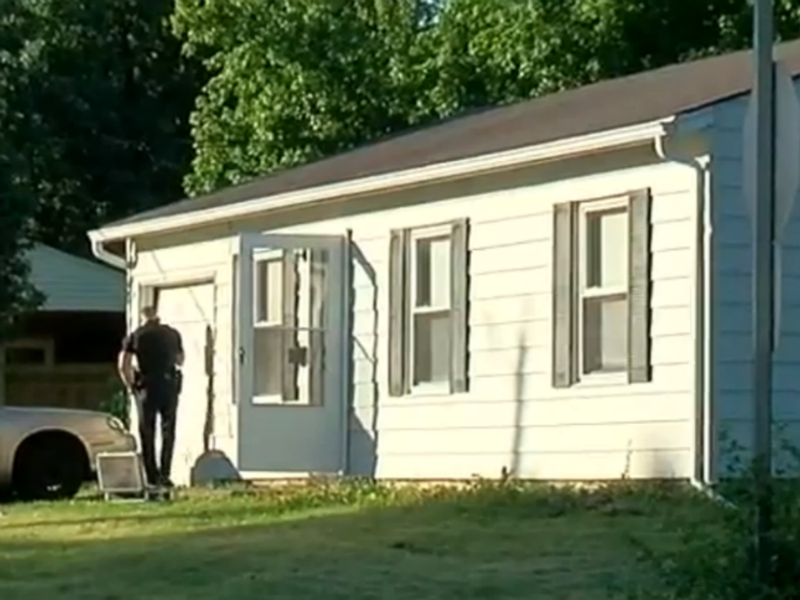 The shooting happened at a “gender reveal” party that included children. Police eventually said it was not random and was linked to the illicit drug trade. Denney said his previous work with the neighborhood helped calm fears. “They called me and they got the story straight from me,” he said. The mass shooting, shocking as it was, was apparently a one-off crime. What's more concerning for Northbrook’s future is its growing problem of out-of-town landlords buying up homes and converting them to rentals. One company in particular has aggressively bought single-family homes in recent years, enough to warrant attention from township officials and complaints from neighborhood homeowners. VineBrook Partners, based outside of Boston, owns about 170 houses in Northbrook alone, township officials estimate. VineBrook has a portfolio of single-family homes in Dayton, Columbus and Indianapolis, in addition to the Cincinnati area. In Cincinnati, much of its investment has been focused in Northbrook. There, some homes can be bought for a mere $50,000 and then converted to single-family rentals that go for $900 or $1,000 a month. 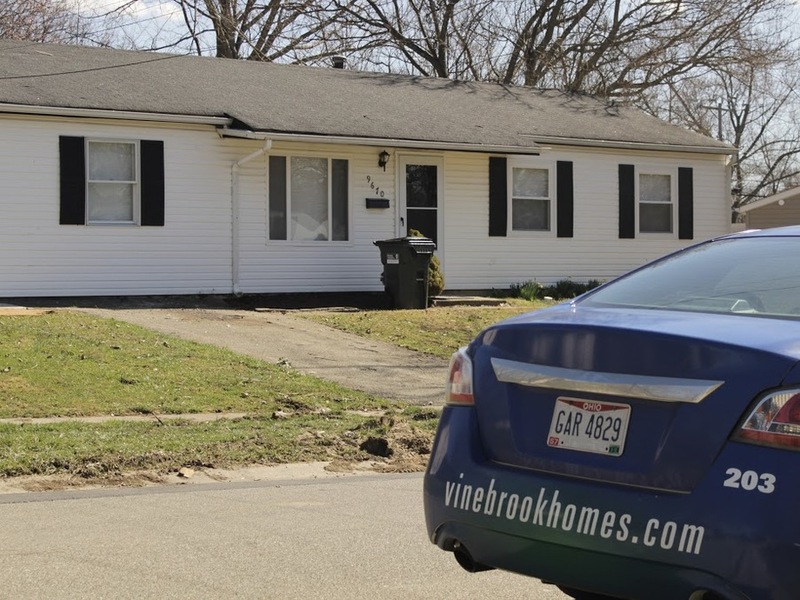 VineBrook is currently advertising a 60-year-old, 960-square-feet home on Wenning Drive that it will lease for $885 a month. The company bought the house in August 2016 for $40,000. On the Better Business Bureau's profile of VineBrook, there are 14 reviews from tenants -- 12 of them are negative -- and 50 complaints. I am currently renting a home from Vinebrook Homes, we have been living there for over a year and shortly after we moved in we noticed water issues in our dining room when it rains, water pours into the room, soaking the carpet, and baseboards. Black mold and nothing being done about it! We have called in a black mold issue 3x and someone came out once and still not fixed! My daughter CANNOT sleep in her room because of this issue! It is in all bedrooms! Township officials say they have talked to VineBrook management about the number of police calls to their properties (“a lot” said one), about trash at their homes and about making some general improvements such as adding lighting to their homes. Although company managers flew in from Boston to meet, there’s been little action. Dan Bathon, VineBrook's CEO, said his company typically invests between $5,000 and $25,000 to rehab homes it buys. "Any house that we’ve bought in Colerain Township or Northbrook, that’s our standard," he said. Bathon said the company is not liable for how its tenants take care of their homes. 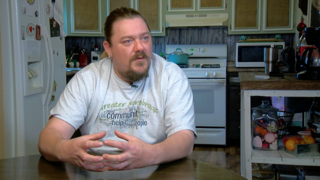 "We’re obviously not responsible for what our tenants may not do when they are in possession of the house," he said. He said he would investigate the complaints "to make sure we're making progress there." Neighborhood leaders fear much of what they've accomplished could be undone if the trend toward converting single-family homes to rentals continues. It will be up to the neighbors to keep making their voices heard and for township officials to respond to their complaints, enforce existing zoning and property laws and, if necessary, pass new ones. "Friends look out for friends," as Lori McMullin says. The township and the neighborhood group have become pretty friendly, and that's made the difference. In December, the neighbors hosted a potluck to thank the township for its efforts. There was turkey, ham, potatoes, stuffing, pie, served up at the police substation in Northgate Mall. No business was discussed, it was just a chance to reflect on the successes of the past year. 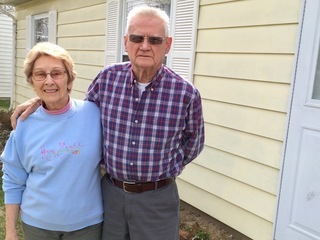 Peggy and Ishmael Tackett have lived in their Northbrook home for 57 years. "The real change came when the group decided to get involved," Chief Denney said. "It's remarkable, the energy and the positivity they have." With that energy, they could keep Northbrook the kind of neighborhood where homeowners want to stay. People like Ishmael Tackett and his wife, Peggy. In 1961, a few years after Ishmael was discharged from the Air Force, they bought their home on Marino Drive with $49 down and a monthly payment of $79, a special deal for the military. They stayed, Peggy said, because of "School for the kids, and we sort of like our house." Now in their 80s, they're planning to stay despite their kids' appeals to join them in South Carolina. "We're old and all of our friends are here," Ishmael said. They are examples of another of Lori McMullin's mottos: "Love where you live."